If you’ve spent any time searching for the right new or used vehicle at the right price, then you know it takes some work. You may find the perfect car, but the price isn’t right – or maybe the price looks great, but the vehicle isn’t exactly what you had in mind. At Toyota of Killeen, we don’t think you should have to sacrifice anything to get the vehicle of your dreams. From the moment you value your trade-in til the day you finally secure financing, Toyota of Killeen will be with you every step of the way! If this sounds good, keep reading. Our dealership is conveniently located in Central Texas, near Temple, Harker Heights, and Round Rock, and fully stocked with all the new Toyota models you love. Whether you’re seeking a dependable and fun-to-drive commuter car like the all-star Corolla, a family-friendly SUV like the RAV4, or a tough and rugged pickup like the Tundra, you’ll find it in our inventory. If you prefer the extra value and budget-friendliness that comes with a used vehicle, you’ll love Toyota of Killeen’s diverse selection of high-quality pre-owned models. We stock our used inventory with plenty of Toyota models, both used and Certified Pre-Owned. But because we strive to meet every customer’s unique driving needs and preferences, we also have a broad array of vehicles from other popular brands. Our used inventory is in constant motion as happy shoppers claim their bargains, but any time you shop, you’ll find used vehicles from brands like Honda, Nissan, Ford, and more, often priced under $20K! We always put our neighbors first, and we cherish those who put in the work for our communities. Join us on any Military Monday or Women’s Wednesday to claim the special discounts and benefits you deserve! All those searching for a dependable, affordable vehicle will find plenty of help and support at Toyota of Killeen. Everyone loves a bargain – especially when you’re talking about a big-ticket item like a vehicle. When you buy or lease from Toyota of Killeen, you can count on getting major savings whether you’re buying or leasing, new or used. For starters, we price all of our vehicles competitively from the start. That means that the sticker prices you see on our vehicles will showcase some truly amazing values right off the bat. But that’s just the beginning of the savings! We take those low everyday prices and then factor in sales and incentives, apply discounts, and introduce you to our low-interest financing plans and special lease offers. With so many ways to save on your number-one pick among our fantastic inventory, why wait another day? Stop by our dealership in Central Texas and get ready to claim an amazing offer on the car, truck, van, or SUV you’ve been looking for! Car buying doesn’t have to be stressful, complicated, or drawn-out. 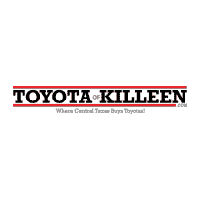 When you shop Toyota of Killeen, you’ll see how smooth and rewarding the whole experience can be. Our friendly associates will help you through the process every step of the way, from navigating your options to securing a great auto loan with low monthly payments. If you’ve ever had a negative dealership experience in the past, put it behind you and discover the difference of shopping at Toyota of Killeen. All new vehicles we sell include two years on no-cost maintenance with ToyotaCare, and a lifetime engine warranty, too! We look forward to welcoming you in as one of our happy customers, and we hope our relationship will continue long after you’ve driven home to Temple or Waco!